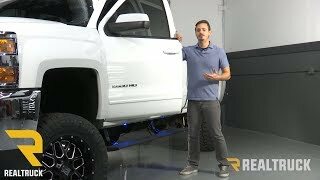 AMP running boards automatically deploy when the door opens. The electric step will close after a 3 second delay when the door closes. A 5 Year/60,000 Mile Warranty is included. 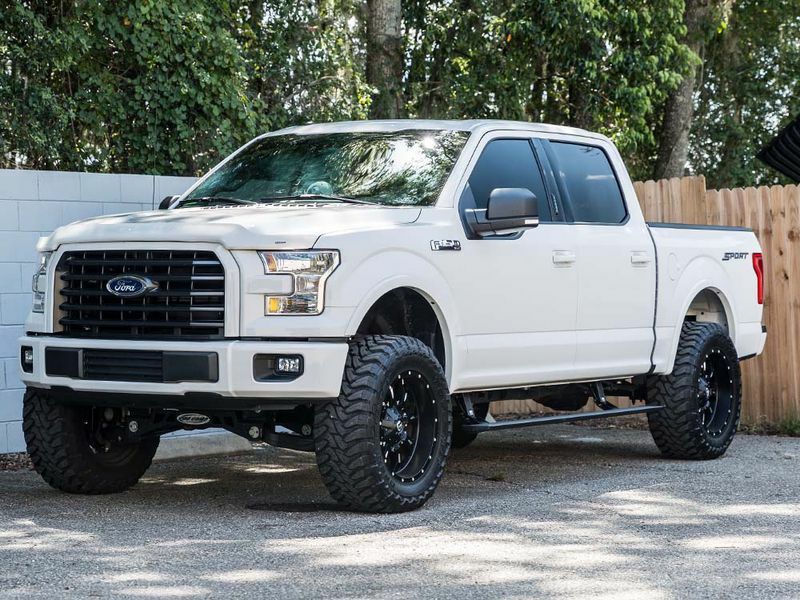 AMP running boards drop much lower than other steps and have an optional 2 inch extension kit. Most other steps rest 1-2 inches below the body and are just not as comfortable. 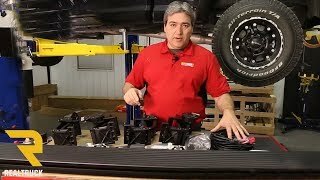 The AMP running boards tuck under the truck when they aren't in use. 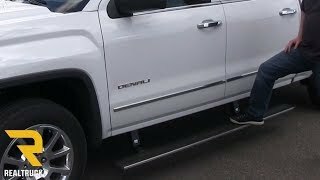 You'll never have to worry about running boards bottoming out when taking a ride off the path. 2 LED lights per side are provided with every purchase. The ground and step will be illuminated in the dark. The LED's will shut off when the steps are hidden. The step is 7 inches wide and convenient for any type of shoe. Imagine stepping on a nerf bar with high heels. From the brackets to the boards, these are built to hold twice as much as other steps. AMP boards have a 600 lb load capacity per side. 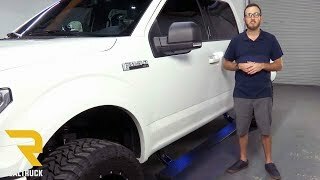 For the most unique and practical running boards available, go with the Amp Research PowerStep Running Boards. 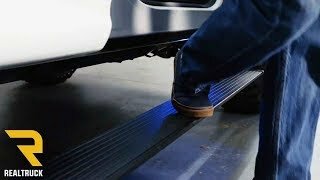 This is an electronic running board that tucks under the truck when the doors are closed, but once the door opens the running boards will quickly extend out to provide a step. This will save you ground clearance while you're driving but, makes life easier with its automatic motion. Built with Anti-Pinch technology, these running boards are made with safety in mind. If the running board feels any resistance when retracting, they will re-lower so the obstruction can be removed.